For the full story, see theindianalawyer.com. Join us for a webinar on Nov 2, 2018 1:30 PM EDT. O-Zone Reinvestment Advisors, a consulting firm launched by experienced legal and finance professionals invite you to a one-hour free webinar discussing how the Opportunity Zone program can be used to finance real estate projects and operating businesses. The webinar will focus on practical insights and discuss sample deal structures based on the recent clarifications in regulations by Treasury. Claudia Cummings of Conexus Indiana to lead Indiana Philanthropy Alliance. INDIANAPOLIS, IND.—Indiana Philanthropy Alliance (IPA) Board of Directors has named Claudia Cummings as its next president and CEO effective Jan. 1, 2019. Cummings will succeed Marissa Manlove, who announced her retirement after 12 years at the organization. Cummings currently serves as vice president of strategic development at Conexus Indiana, the Central Indiana Corporate Partnership (CICP) initiative positioning the Hoosier state as the best place for advanced manufacturing and logistics industries to invest, employ and succeed. An Indiana native, Cummings has been the senior leader with Conexus Indiana since 2008 responsible for overseeing collaborations on workforce development and education between industry, academic, philanthropic and public sector partners. Cummings was selected after a competitive process conducted by the Columbus, Indiana-based search firm Smith and Syberg and coordinated by a seven-member search committee of current IPA Board of Directors and key community leaders. “There was very high interest in the position from across the country. We spoke with many strong candidates, and I’m confident Claudia is the right leader for the next season of IPA,” shared Gridiron. Cummings has dedicated her career to public service and community impact. Prior to her work with Conexus Indiana, she was Deputy Commissioner at the Indiana Department of Administration where she focused on small business development. 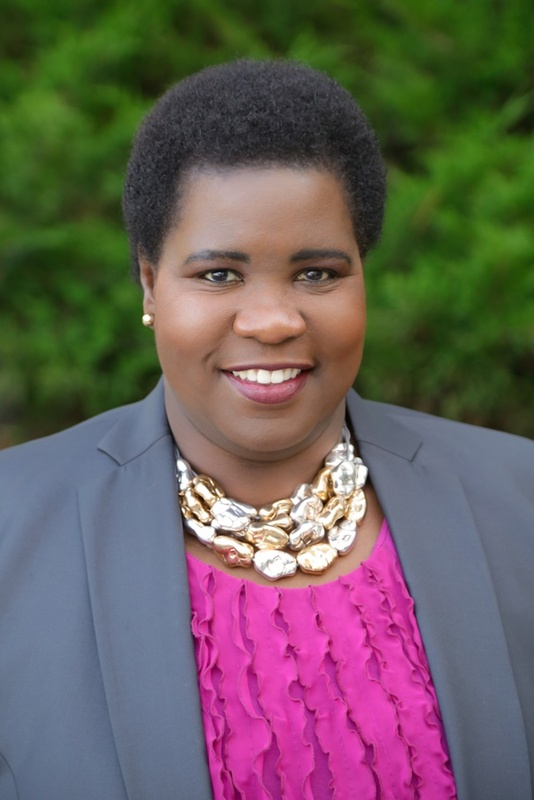 She has also worked in various policy advocacy, communications and leadership positions for the Mayor of Indianapolis, Speaker of the Indiana House, Marion County Clerk, and U.S. Attorney for the Southern District of Indiana. Cummings currently chairs the Goodwill Education Initiatives Board of Directors and serves on the Leadership Council of the Manufacturing Skills Standards Council and as Vice Chair on the Distinguished Alumni Council for the Indiana University School of Public and Environmental Affairs (SPEA). She has also been a member of the State Workforce Innovation Council and the Indianapolis Local Public Improvement Bond Bank. Cummings succeeds Manlove, who leaves the organization in a strong financial position and with more members than in the organization’s 28-year history. During her tenure, IPA has gained prominence as a key voice on behalf of philanthropy with policymakers and other community leaders across the state. Manlove has also positioned IPA as a national leader among regional associations of grantmakers. For more on this story and the Indiana Philanthropy Alliance, go here. The International Economic Development Council will host its 2019 annual conference in Indianapolis, October 13-16. As member of the host committee, Prosperity Indiana invites members to submit session proposals for consideration. The committee is looking for a wide variety of content related to topics impacting economic development, i.e. education, community development, transportation, etc. Proposals will be evaluated by the IEDC staff and the Programming Subcommittee based. Proposed content will be scored on relevance, innovation, timeliness, actionability, and appropriateness. Proposed speakers will be scored on qualifications, diversity, and availability/competitivity. Proposed session formats will be scored based on appropriateness for the intended audience and innovation. Please use this link for submitting concurrent session proposals by January 11, 2019. Note the following: 1) proposals and the ideas therein will become the property of IEDC and 2) any component of a proposal’s content, speakers, or format may be adapted, modified, or combined with others to best fit programming needs. For event details, see IEDC's conference page. A new tool from the Robert Wood Johnson Foundation lets you search for your life expectancy – by ZIP code. Improving health and longevity in communities starts with ensuring access to healthy food, good schools, quality housing, and jobs that provide the necessary resources to care for ourselves and our families. These are the things that prevent us from getting sick in the first place. However, these conditions are hardly consistent across states, cities, or even from block to block. This new data from the National Center for Health Statistics reveals differences in life expectancy down to the census tract level, showing U.S. counties can vary in life expectancy by as much as twenty years. There is a fourteen-year variance across central Indiana counties alone. More and more, the community development and public health fields are working together to understand just how great an impact the place we live can have on our health. In Indianapolis, Eli Lilly and Company has launched a community-based pilot program in partnership with the Indiana University Richard M. Fairbanks School of Public Health, Eskenazi Health, LISC Indianapolis, and the Marion County Public Health Department to help address the high incidence of diabetes in three local neighborhoods: the Northeast Neighborhoods, Northwest Neighborhood, and Near Westside Neighborhood. These communities were selected based on their high prevalence of diabetes (approximately 10,000 people across the three neighborhoods), socio-economic factors, and highly engaged community members and organizations. The pilot will deploy newly hired community health care workers to help identify people with diabetes and connect them with quality care. Community members will also be involved, helping to identify and propose solutions for cultural, social, environmental, economic, and policy barriers that increase the risk for diabetes, such as the lack of healthy food options and public spaces for exercise. These cross-sector, community-focused partnerships for health are becoming more commonplace in the community development field as we continue to learn about the relationship between health and where you live. Check out the resources below to learn more on this topic. A summit focused on development in the westside of Indianapolis will be held Tuesday, October 23, 2018. With the latest Infosys announcement to build a technology hub at the former Indianapolis International Airport terminal site, development on the west side of Indianapolis will likely increase as Infosys brings on 3,000 new jobs – 1,000 more than previously announced. Such announcements like this present opportunities for communities to begin to strategically think about future development. The full-day session will feature key players who can help you grow and invest in Hendricks County and the westside of Indianapolis at an opportune time. Topics include: industrial development, retail and hospitality development, office development, housing development and opportunity zones. Infosys will also give the keynote speech, which is their first official public appearance since the announcement of the brand new technology hub. Event will be held 8:30 AM to 6:00 PM at Embassy Suites Plainfield Conference Center, 6089 Clarks Creek Road, Plainfield, IN 46168. Westside Community Development Corporation in Indianapolis will host its annual meeting and introduce its new executive director next month. WCDC’s 2018 Annual Meeting Event will be held on November 15, 2018 from 4-7 pm at the Biltwell Event Center located at 950 S. White River Parkway W. Drive, Indianapolis, IN 46221. The new Executive Director Mr. Robert Hawthorne will share next steps for Westside Community Development Corporation. 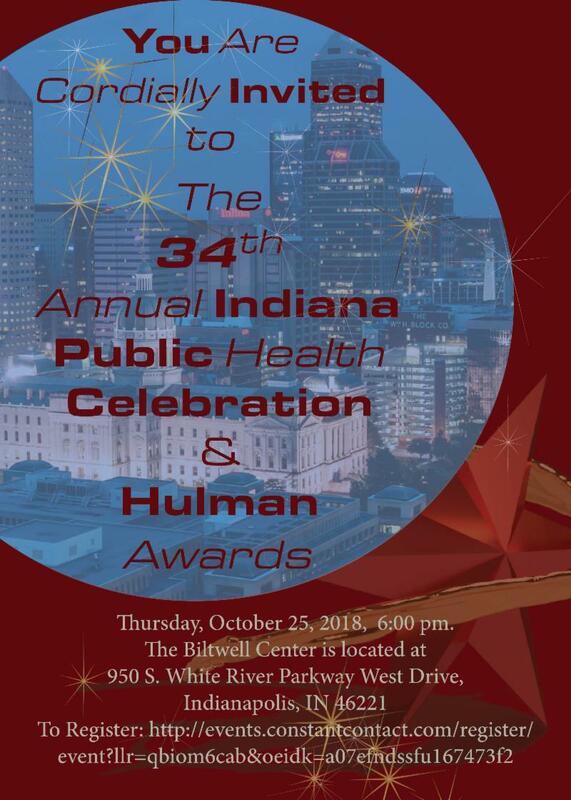 The 34th Indiana Public Health Celebration & Hulman Awards will be held October 25, 2018 and include an evening reception and dinner. The guest speaker will be Pam Aaltonen, PhD, RN, President Elect, APHA. Awards program includes Dr. Helen L Scheibner Life Science & Public Health Scholarship, Stephen Jay Awards for Leadership in Public Health, and Hulman Health Achievement Awards. The 2019 Prosperity Indiana Summit will explore diverse strategies to build individual, organizational and community wealth. Our goal is to highlight diversity and innovations in the field and build capacity to do more of the same. Please see the following to submit a session for consideration: 2019 Prosperity Indiana Summit: Call for Session Proposals. This fall, during the NLC City Summit in Los Angeles, Gary Mayor and Aim 2nd Vice President Karen Freeman-Wilson is slated to become the next president of NLC. I can’t begin to tell you how excited I am for Karen to step into this role - representing America’s cities, towns and villages at the highest level! The Aim Board of Directors, and Karen’s fellow Aim Officers, have expressed their excitement and support for Karen during her rise among NLC’s excellent crop of local leaders. As is customary during the City Summit, the state league of the incoming NLC president hosts an all-conference gathering the evening prior to taking office. This after-hours event is more than just a time to let your hair down. It is a time for attendees to celebrate as colleagues and as friends, and to continue networking with one another as they share valuable insights and make the most of the short time together. Should you have any questions, please do not hesitate to contact Lesley Mosier at lmosier@aimindiana.org.